Like the Emperor’s New Clothes … Invisible! Or at Least Tiny or Discreet? In Hans Christian Andersen’s (1837) tale, an Emperor’s weavers said they made him some new clothes that would be visible to all but the stupid or incompetent, when in fact they had made no clothes at all. So he walked around naked, yet believed he was attractively well dressed and adequately demonstrating his position of achievement and power. We must hope that hearing aid manufacturers are not looking at hearing aid visibility with the same deceptive reasoning, for in their push for invisibility as desirable, audiologists and aid wearers could be treated as if a bit stupid. 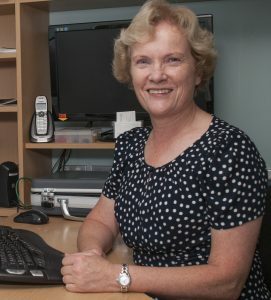 Completely in-the-ear hearing aids were introduced by the manufacturers, in part, as a solution for stigma or the “hearing aid effect” (Johnson et al, 2005) and yet it can be argued that making the devices discreet actually contributes to self-stigma, a belief that hearing loss is a problem that should be hidden (Kelly & Wensveen 2014; Wallhagen, 2009). Invisible hearing aids have also been shown to produce the highest mark-up factor for both manufacturer and audiologist (De Silva, Thakur & Xie, 2013). It could be suggested that our promotion of invisible aids is a social construction suiting our own benefit. Or is invisibility also, or solely, an end-user concern? What is a patient’s desire for invisibility driven by? Vanity, stigma, gender, significant-other input? How do we counsel that size really does not matter? The four traits of vanity common within sociology, psychology and philosophy literature are consistent with Cooley: (1) appearance concern, (2) concern about appearance perception, (3) achievement concern and (4) concern about achievement perception. Appearance concern and achievement concern are related to personal values, while the two perception components relate to self-concept (Wang & Waller, 2006). Wang and Waller (ibid.) state that advertising messages use this knowledge to appeal to our need for physical beauty and achievement status. We see the symbolically positive appeal, for example in an expensive handbag or car advert, where customers are told their beauty and/or status will improve with ownership. In hearing aid adverts, we see a negative spin on product visibility; consumers, then, are led to prefer invisibility to protect their self-image. Cultural differences can affect the impact of these factors, with the individualistic West being more driven by “self-pride” and self-reliance, differing from traditional Asian concept of shame/loss of face and the value of collectivism and social relationships (Scheff, ibid.). Gender differences have been found only for self-view of “appearance concern,” with women being more concerned about this than men (Wang and Waller, ibid.). Is it then possible that input from female significant-others might promote desirability for invisible aiding for their partner as well, or is it because, as Workman and Lee (2011) found, males and females have equal scores on “concern about appearance perception” by others? When we say that we do not care what others think, we are kidding ourselves. Rejection elicits physiological responses, stimulating psychological reactions like a feeling of being different. This is stigmatisation in process, for as Goffman (ibid) writes, we are all attempting to be accepted as fellow members of the in-tribe, or at least not to be seen as rejects. Marketing experts exploit the impact vanity has on consumer behaviour and social behaviour. Consumers select, purchase and use products to satisfy needs (Workman & Lee, 2011). Companies have a responsibility to be aware of the negative marketing impacts they can produce, for example the belief that hearing loss is a source of shame and that patients should choose hidden hearing aids (Netemeyer et al. ibid., Wallhagen, ibid.). As was discussed in an earlier piece on this site (Doherty, 2016), the only way to overcome stigma and thereby shame is to normalise the stigmatised object. In audiology, this means having hearing aids as normally observable as glasses and causing no concern for tribal separation between the aided and the unaided. Encountering someone that one can identify with, who is happily wearing aids, can be a powerful factor in influencing perception around hearing aids (Kelly & Wensveen, ibid.). No health care provider should be just a professional salesperson (Metz, 2016). Audiologists must be aware of the ethics and consequences of promoting product-driven social constructions to patients. Education of patients, their significant others and the general public is the only way to de-stigmatise hearing aid visibility and so make aid use acceptable, normal and unremarkable. Just as social categorisations that produce stigmatised groups are socially embedded and constructed, they are also amenable to change through enhanced understanding (Wallhagen, ibid.). Anderson, H.C. (1837). Fairy tales told for children. Copenhagen: Reitzel. Cooley, C.H. (1922). Human nature and conduct. New York: Scribners. De Silva, D. G., Thakur, N., & Xie, M. (2013). A hedonic price analysis of hearing aid technology. Applied Economics, 45, 2315-2323. Doherty, J.L. (2016). 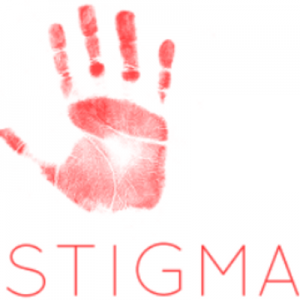 New thoughts on hearing loss and stigma. Goffman, E, (1959). The presentation of self in everyday life. New York: Doubleday. Johnson, C.E., Danhauer, J.L., Gavin, R.B., Karns, S.R., Reith, A.C., & Lopez, I.P. (2005). The “hearing aid effect” 2005 : a rigorous test of the visibility of new hearing aid styles. American Journal of Audiology, 14, 169-175. Kelly, J., & Wensveen, S.A.G. (2014). Designing to bring the field to the showroom through open-ended provocation. International Journal of Design, 8(2),71-85. Metz, M.J. (2016). Professional ethics and business. The Hearing Journal, 60(10), 3. Netemeyer, R. G., Burton, S. & Lichtenstein, D.R. (1995). 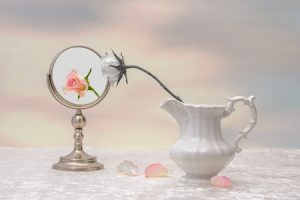 Trait aspects of vanity: measurement and relevance to consumer behaviour. Journal of Consumer Research, 21, 612-626. Scheff, T.J. (2013). Goffman on emotions: the pride-shame system. Symbolic Interaction, 37(1), 108-121. Wallhagen, M.I. (2009). The stigma of hearing loss. The Gerontologist, 50(1), 66-75. Wang, P.Z., & Waller, D.S. (2006) Measuring consumer vanity: a cross-cultural validation. Psychology & Marketing, 23(8), 665-687. Workman, J.E., & Lee, S-H. (2011). Vanity and public self-consciousness: A comparison of fashion consumer groups and gender. International Journal of Consumer Studies, 35, 307-315.